Tanalbit® is a non-prescription plant tannin formula for the which has been found to be a great natural alternative for helping the gastro intestine when compromised by bacterial or fungal infestations. Please note, the recent price increase is due to manufacturers having to increase their prices. 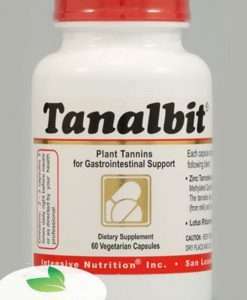 Tanalbit supports a healthy gastrointestinal environment. Our *NEW* formula contains more active ingredients making it even more effective. After 30 years, Dr. Balogh and Intensive Nutrition are proud to announce the *NEW* Tanalbit. PWhat’s different about the *NEW* Tanalbit? 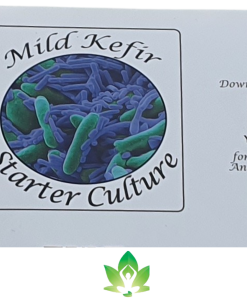 Tanalbit won accolades from medical pioneers in candida treatment such as Dr William Crook author of ‘The Yeast Connection’. Great Smokies Laboratories, an accredited diagnostic laboratory, made Tanalbit a staple in their list of recommended products. The Tanalbit® formula is based on the powerful astringency and high antioxidant content of natural condensed tannins. Other components of Tanalbit® are chitin extract and lotus rhizome extract which provide synergistic anti-mycotic and anti-microbial action. When Tanalbit enters the lower gastro intestinal tract its natural affinity for lipids or proteins allows it to adhere to the outside of the yeast cell. The yeast cell can no longer feed off the host and dies and is naturally digested. Use of Tanalbit® for yeast, fungal or bacterial infestations is commonly 6 weeks, more or less depending on individual symptoms. As a powerful antioxidant and detoxifier, it may be taken every day as advised to help ‘cleanse’ or ‘remove’ toxic substances including heavy metals. The suggested regime is 2 capsules 3 times per day for the first 2 to 3 weeks working down to 1 caps 3 times per day over 6 weeks. Tanalbit will not significantly affect beneficial bacteria levels. 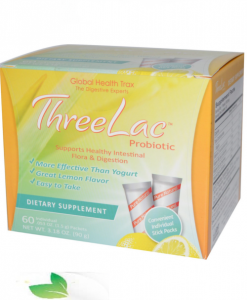 Often we suggest using a probiotic after a Tanalbit regimen and using a comprehensive multivitamin to ensure proper mineral balance because imbalanced flora can contribute to nutrient deficiencies. What are other applications for Tanalbit®? 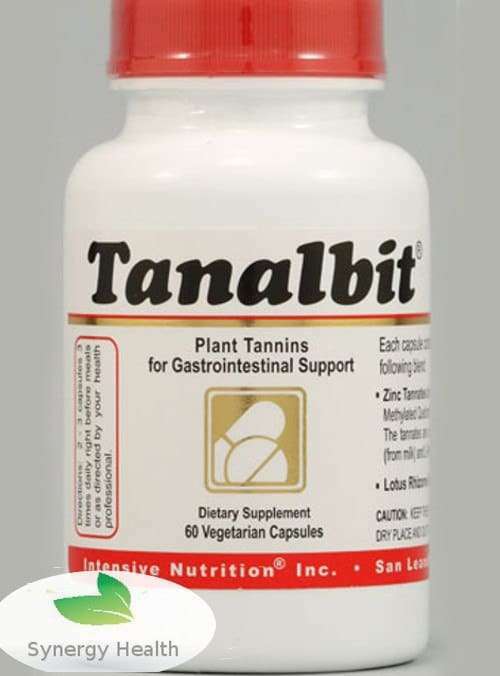 Tanalbit® is also extremely helpful in the following problems: toxicity buildup, bloating, gas, diarrhea, yeast and bacterial overgrowth, food allergies and/or food sensitivities/intolerance. As a result of its gastrointestinal support, Tanalbit® may help decrease debilitating fatigue. Why is Tanalbit® a superior gastrointestinal support product? Because Tanalbit® is complexed with casein, a protein with hydroxyproline and proline amino acids, it is able to bypass degradation by stomach acid and effectively target the large intestine and colon. The action is important for two reasons. First, it ensures that Tanalbit® is effective and Second, it ensures that Tanalbit® targets the lower intestine where most infestations remain entrenched. Anti-fungals complexed without a protein as complex as casein are simply not as effective in comprehensively reaching the GI. Do not take before bedtime or with caffeine. This formula contains purified casein. Tannins may interfere with the absorption/effectiveness of alkaline or steroidal medications. Please consult with your physician prior to taking this tannin product if on medication. 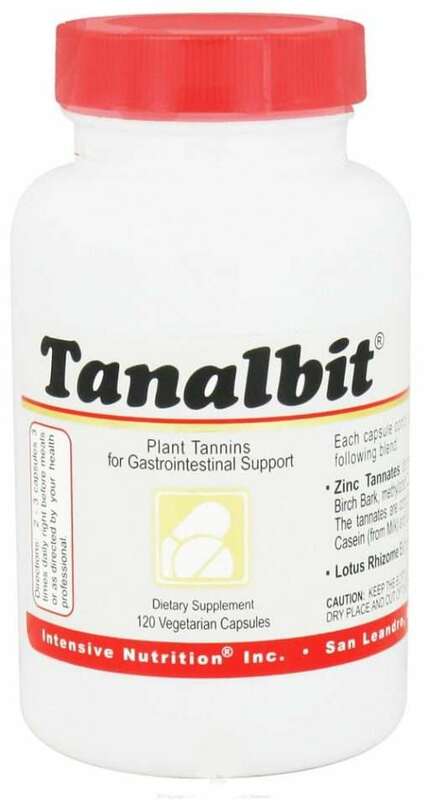 Tanalbit – This internal intestinal antiseptic consists of natural tannins combined with zinc. 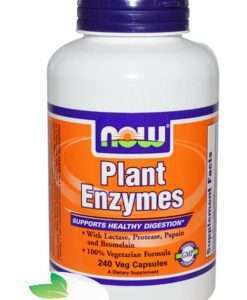 It has found to be helpful in the management of yeast overgrowth in the intestine. Allergen Statement: This formula contains milk. It is free of yeast, egg, gluten, corn, wheat, starch, artificial colors or preservatives. 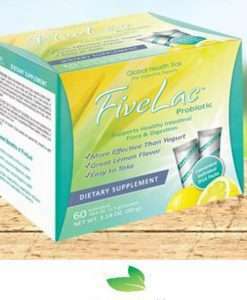 2 capsules, 3 times daily and increase water intake two-fold. Water will help improve digestion, elimination of toxins and prevent dehydration and temporary constipation. Dosage suggested for 4-6 weeks or as prescribed by your health professional from or physician. Tanalbit performs best on a relatively empty stomach, at least 30 minutes to 1 hour before meals. If you cannot tolerate Tanalbit on an empty stomach, take your suggested dosage with a small protein snack. If you are using Tanalbit for skin health, suggested dosage is 2 servings daily for at least 2 weeks. When taking Tanalbit for food sensitivity or indigestion, take 1 to 2 capsules right after a meal. Hi. If you have used Tanalbit please leave a review. My therapist tested this on me and reported that the result was excellent. Really works and I feel much better since taking it. Tanalbit was recommended by my nutritionist for long-standing digestive difficulties and I am glad to say it is giving good results with few side effects. Also Synergy Health sells it at a very good price. I have been buying Tanalbit from this site for several years now. Very happy with the quick delivery time and the products. 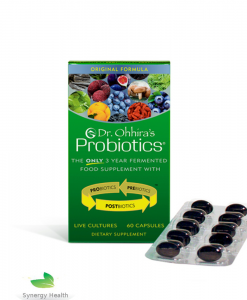 The only product to have made a really positive impact on my internal superbugs that I was fighting for 2 1/2 years. Having spent thousands of pounds on varying treatments after being hospitalised, I was relieved to find, through a CDSA test from Genova Diagnostics, that plant tannins were one of the most useful agents to help combat it. My private doctor recommended Tanalbit and I have been taking it ever since (initially 2, 3x per day for 1 year…now down to 2, 1x per day). A quite literal life-saver for me 🙂 I’ve always been very satisfied with Synergy Health and the orders are well packaged and delivery is straightforward and on time. Extremely fast time from order to delivery. Excellent price. Easy to order and supplement arrived very quickly. A very efficient and caring company.Thank you. I’ll definitely order from you again. Very good efficient service at a very good price.